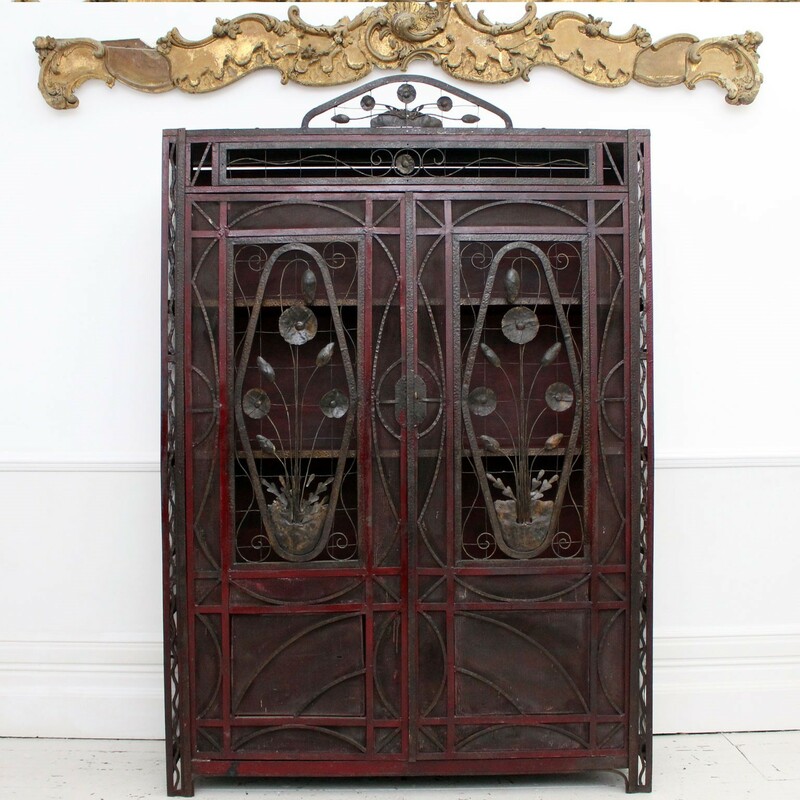 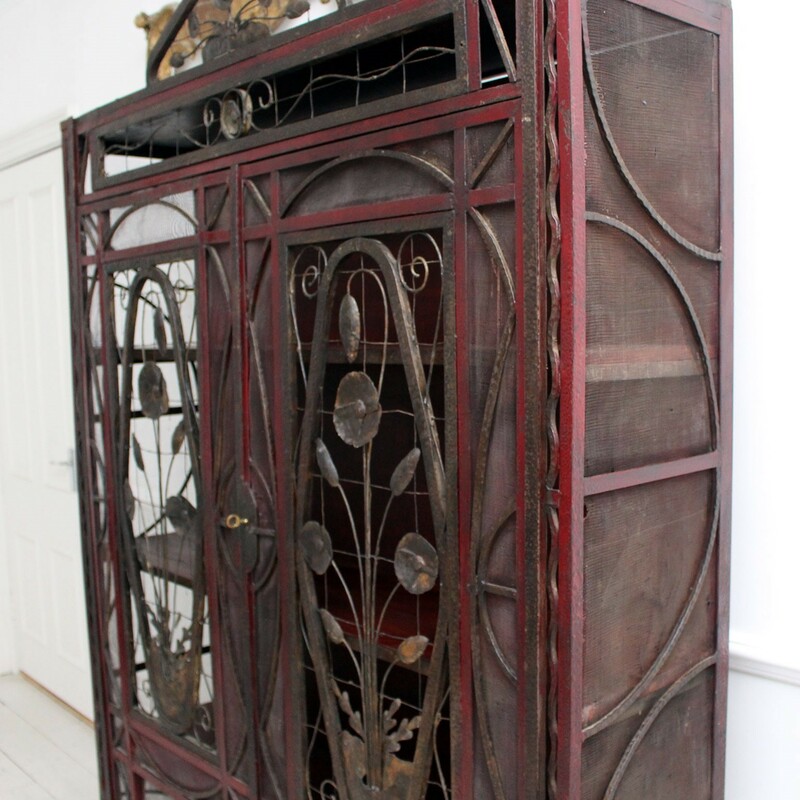 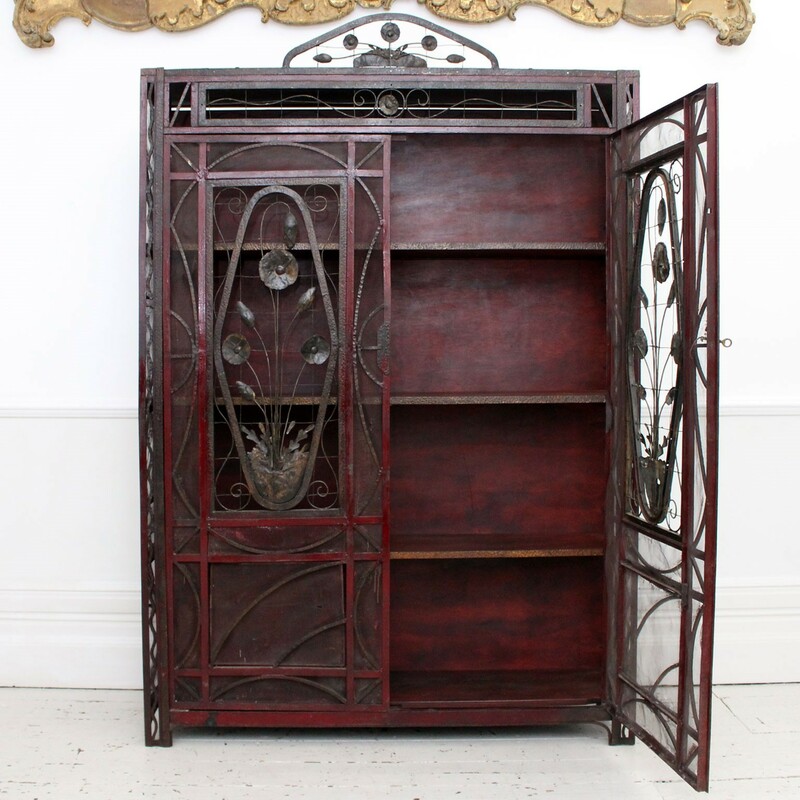 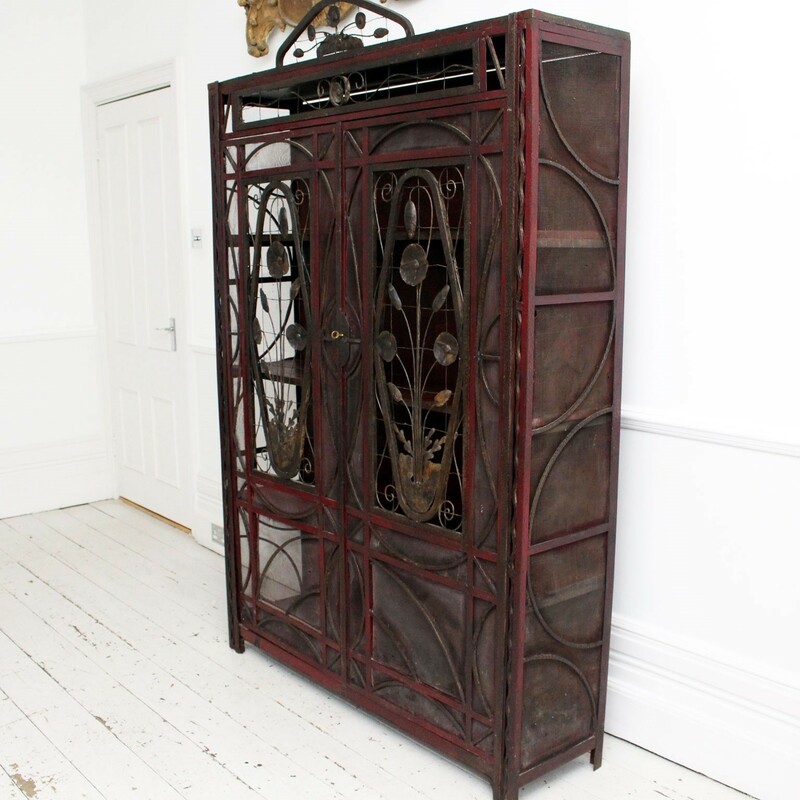 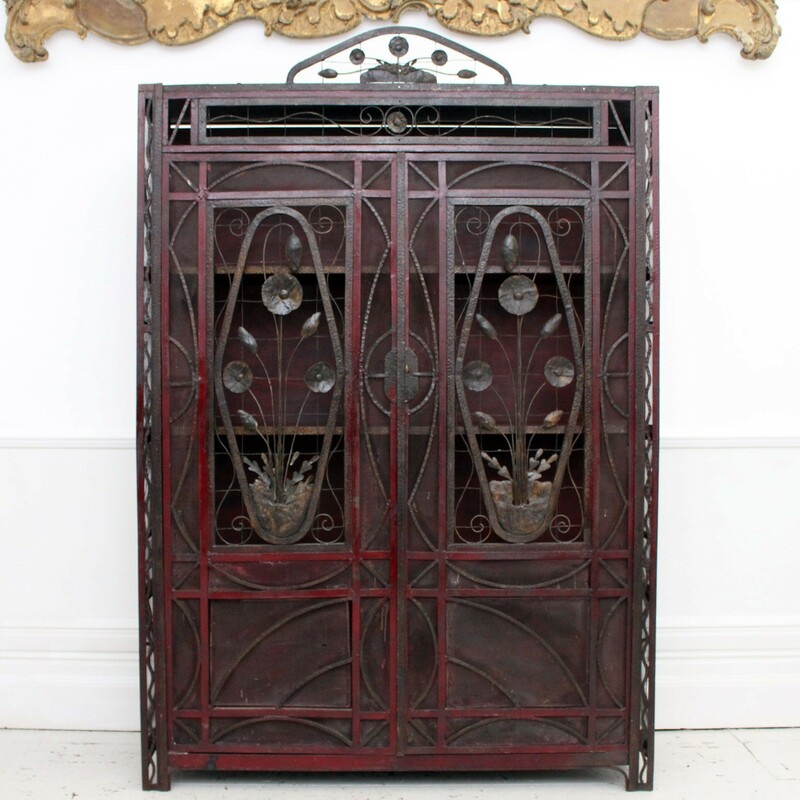 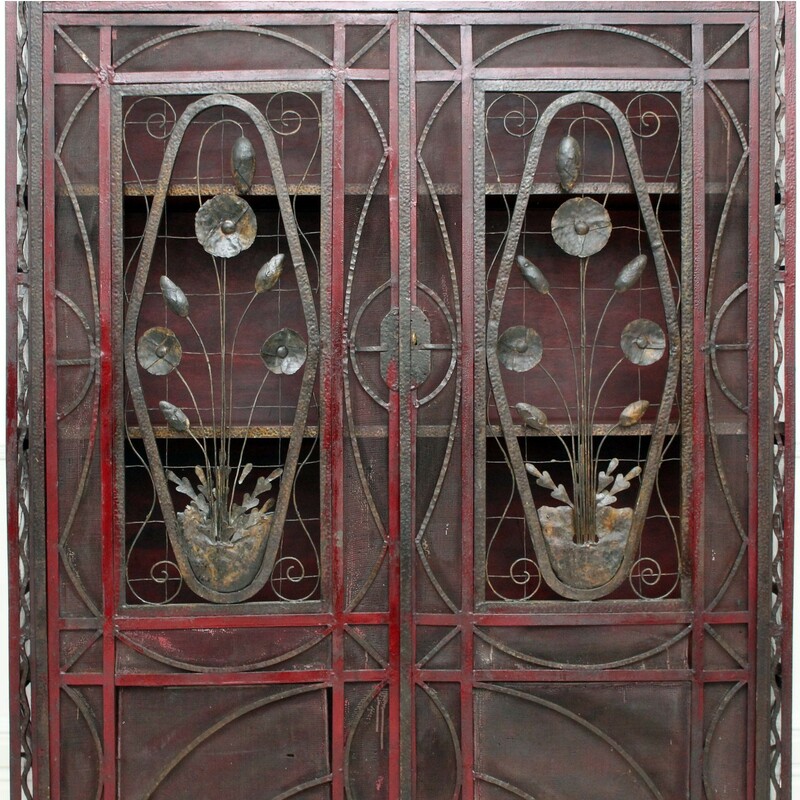 This is an exceptional and unique piece of Art Deco decorative metalwork. 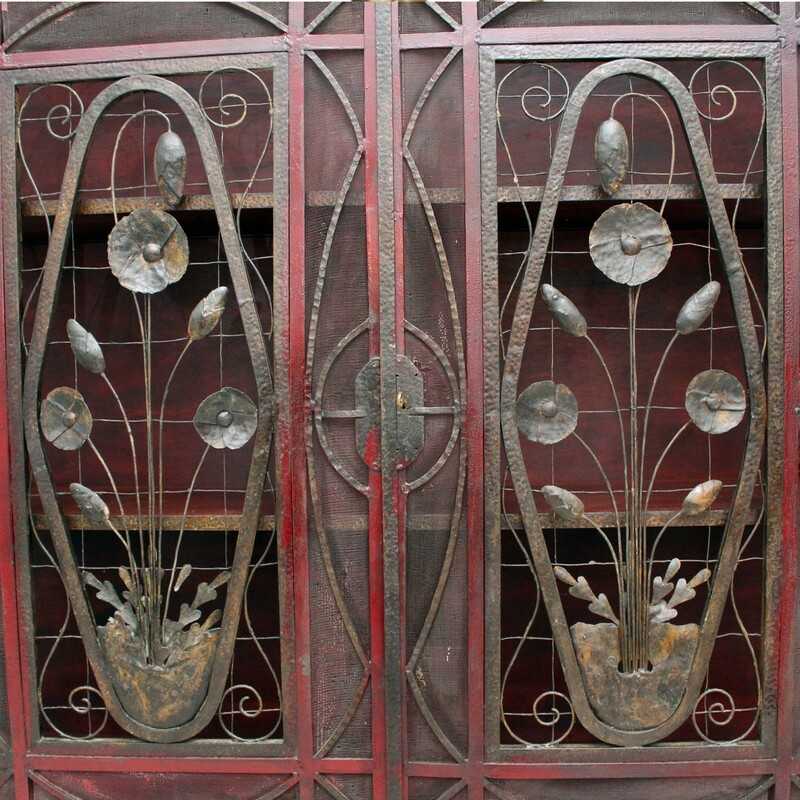 Additionally we can see strong Art Nouveau influences in the floral decorated doors. 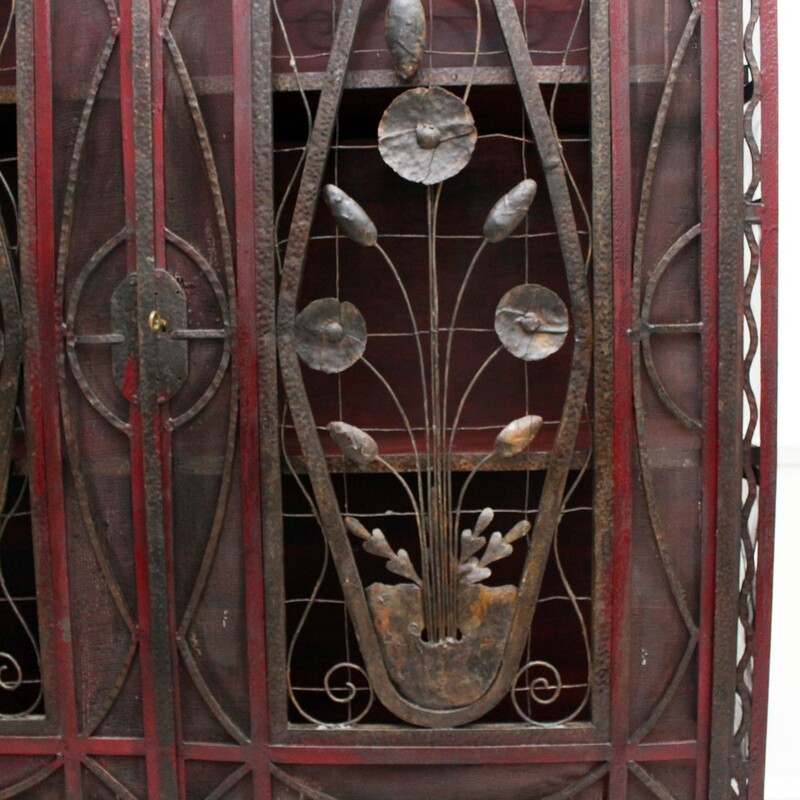 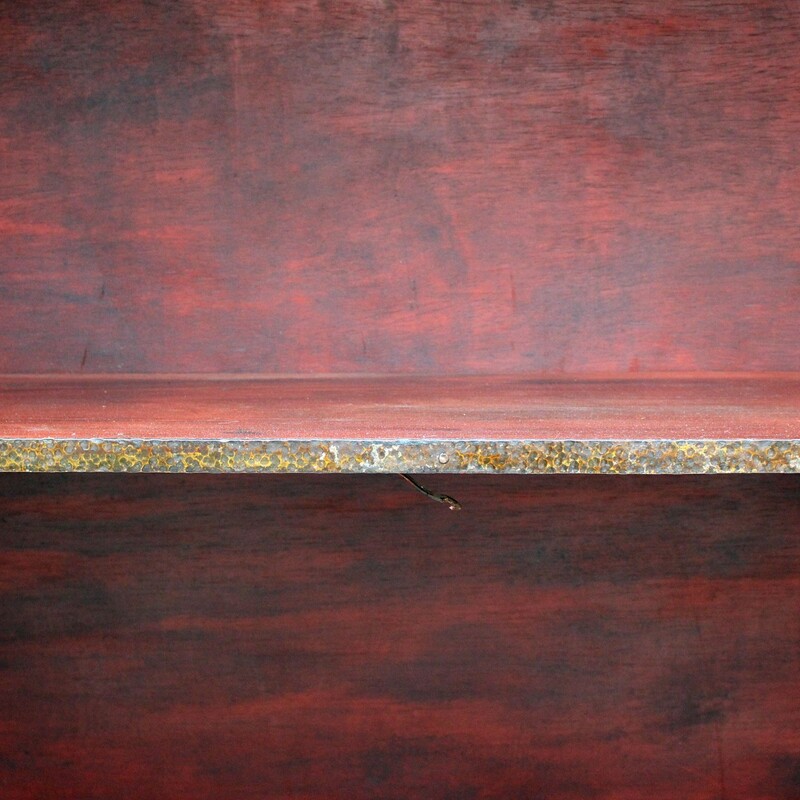 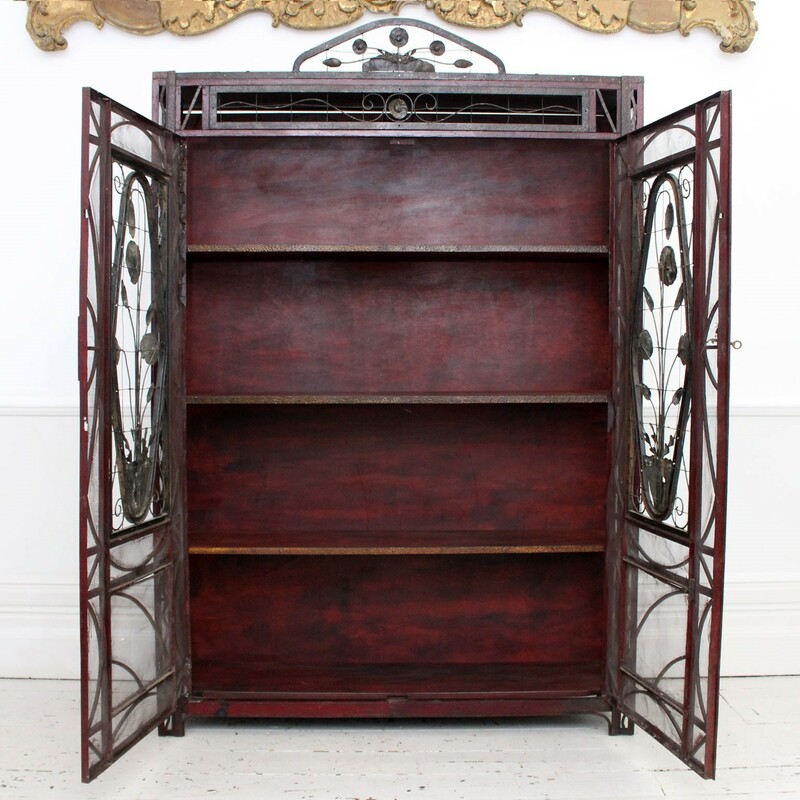 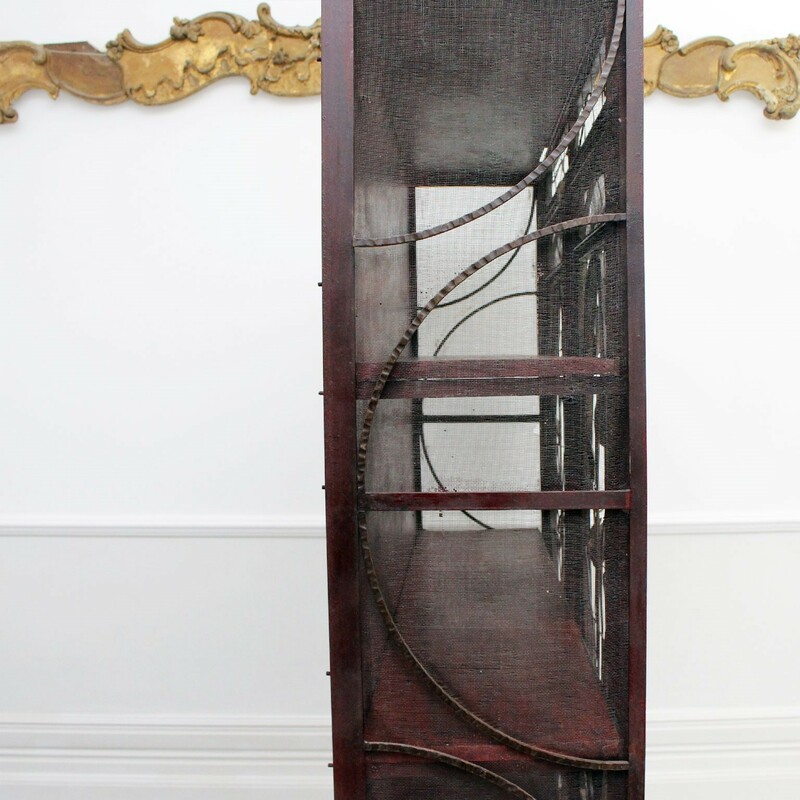 The frame is made from beaten metal painted in browns and red. 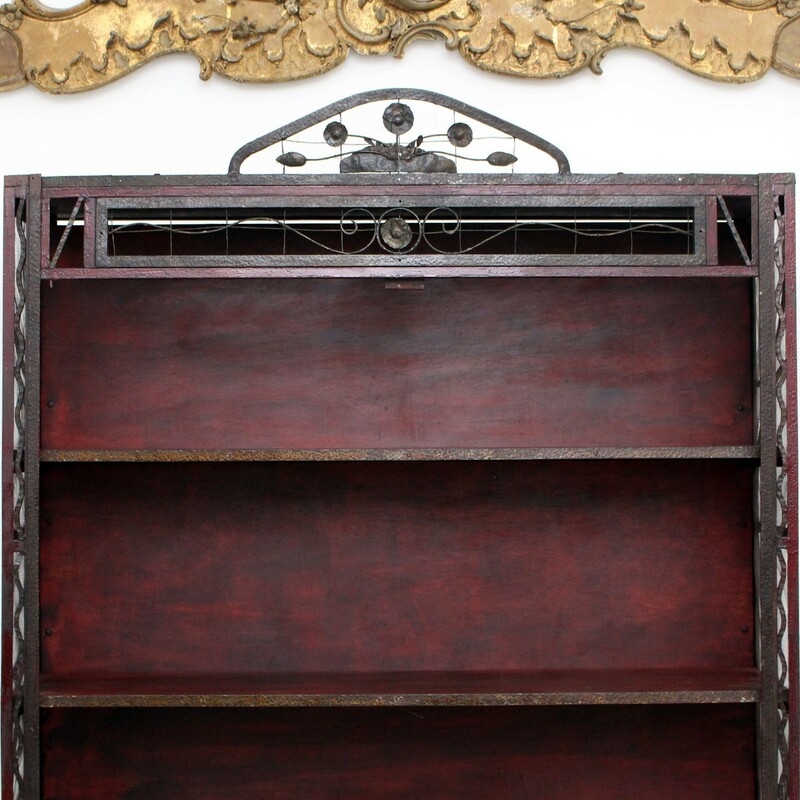 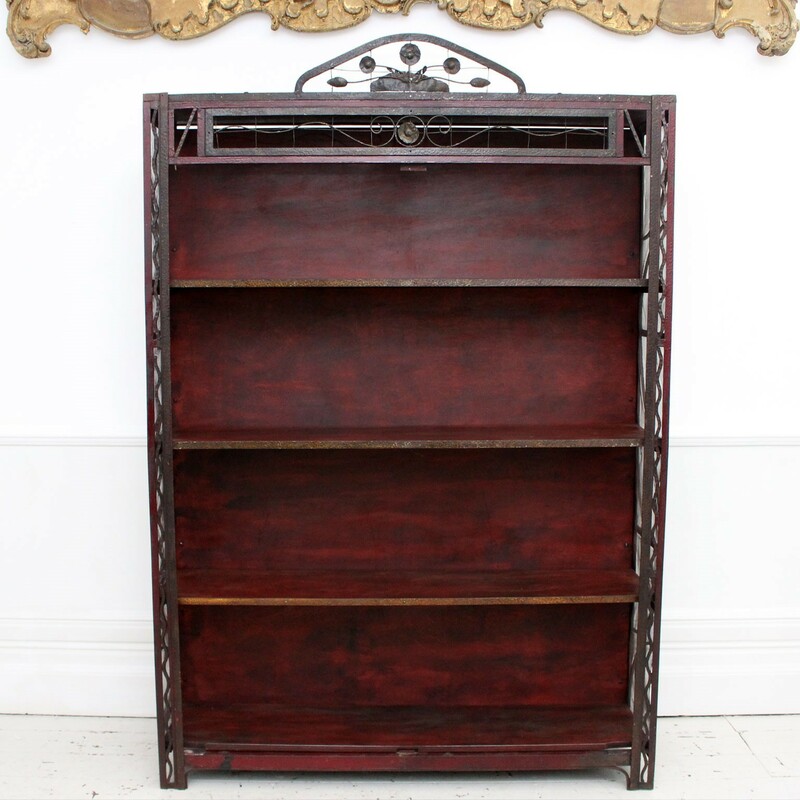 There are 3 painted wooden shelves with beaten metal fronts. 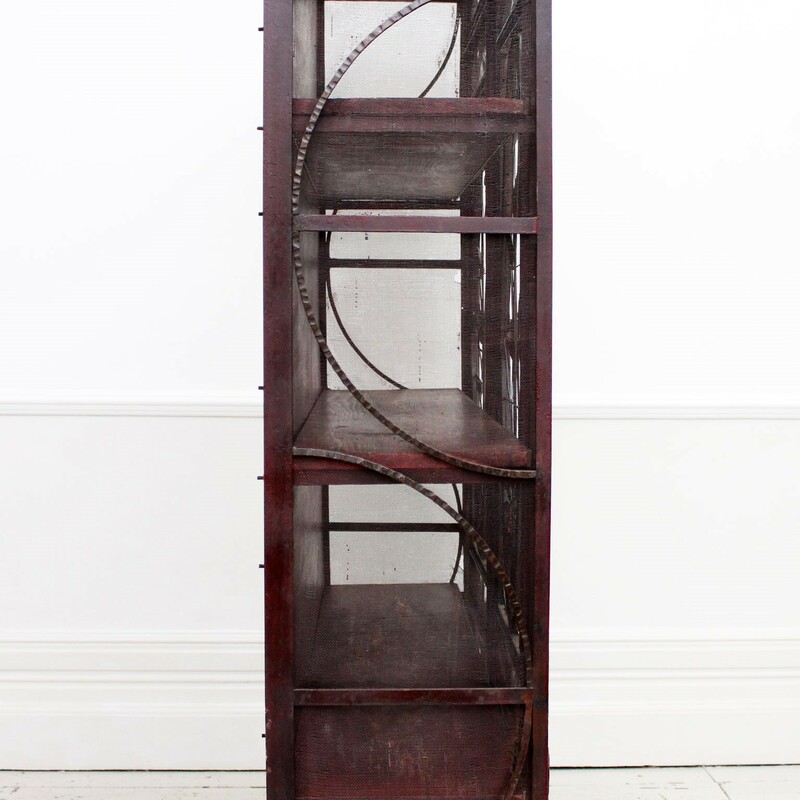 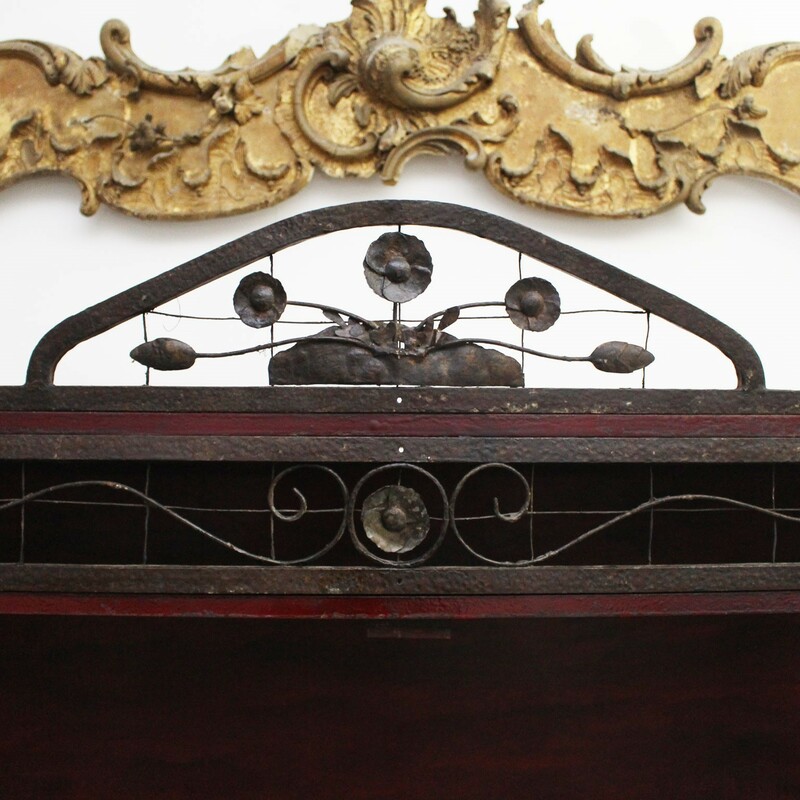 This piece came from a grand house near Avignon where it had resided since it's creation. 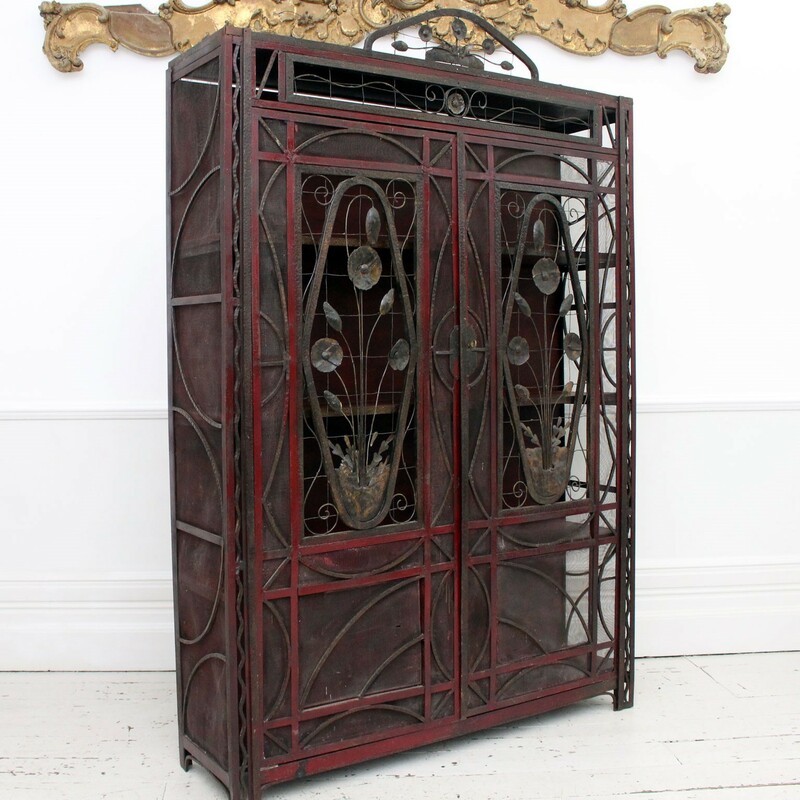 Whilst this is a large piece, the depth is shallow making the proportions very pleasing and practical.